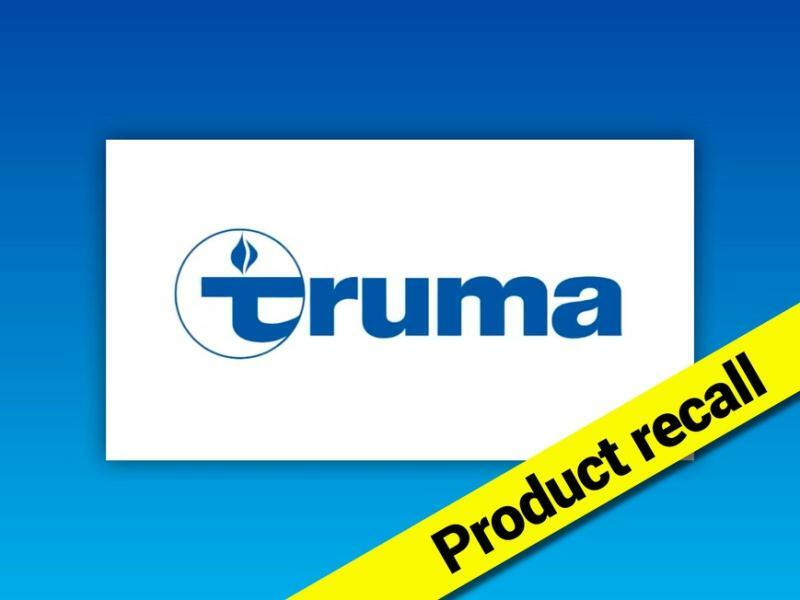 Truma has issued a product recall, after it became clear that there was a safety concern with its gas outdoor socket and two gas removal valves. So, which products are affected? It’s the Truma gas outdoor socket (in white, black or ivory), the fast-coupling release valve KV8-M and the junction coupling fast-release valve AKV-8-M. Turn the gas system off, by closing the cylinders and/or the external gas supply or gas tank. If your external gas socket is connected to a separate shut-off valve, only the shut-off valve needs to be closed. And if there’s an awning, make sure it is well ventilated. When checking the code below the yellow handle cap (you might need to turn the ring to read it), make sure that there are no ignition sources nearby. If yours has one of the codes listed above, please contact your dealer, the Truma Service Centre or a Truma Service Partner to get a free replacement. If your product has a different code, you’ve nothing to worry about and your system is safe to use. The recall work can only be carried out by trained personnel but, rest assured, it doesn’t take long to do. If your gas system is affected, do not use the gas system or re-open the shut-off valve until this work has been completed. The problem Truma has discovered with these products could cause gas to leak ‘uncontrollably’, which could result in gas deflagration and injuries. However, Truma is keen to underline and reassure caravanners that it has not heard of such a case yet. The recall is essential on safety grounds, but is precautionary. Want to contact Truma? You can call 0800 038 8910 or email productsafety@trumauk.com. or call Shauntelle at Cookstown Caravans on 02886763936.